At OBU, we offer an option to make the transition from licensed practical nurse (LPN) to a Bachelor of Science in Nursing (BSN). The distinction between nursing degrees can affect not only your area of practice, but also your earned income and opportunities for advancement. According to the U.S. Bureau of Labor Statistics, a BSN could earn a median annual salary of $66,640; compared to an LPN’s median annual salary of $42,490. At OBU we want to help you enrich your future, not only academically but spiritually and professionally as well. 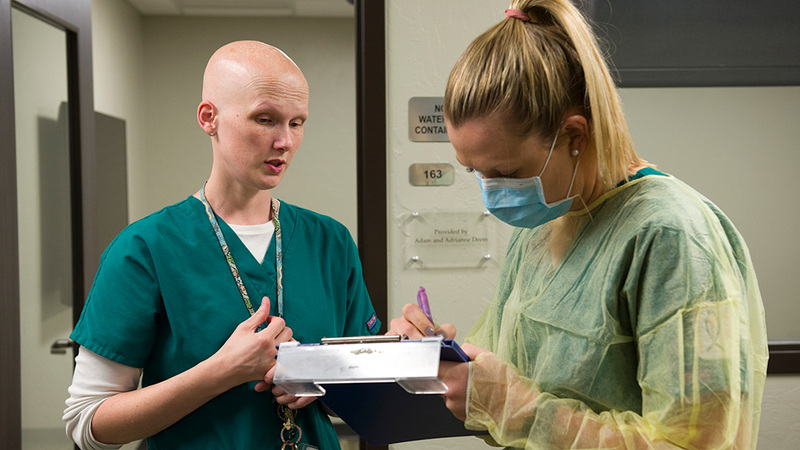 As with our other programs at OBU, the LPN to BSN program offers an academically exceptional nursing curriculum complemented by a faith-based education. After successful completion of our program, you’ll be ready to maximize your earning potential and your professional opportunities. View the LPN to BSN plan of study, or if you are interested in applying for the program, view the LPN admission policy. We also offer a Master of Science in Nursing for students who are ready to take the next step in their nursing education. For more information on our Master of Science in Nursing, visit the MSN page.